This is going to be a special post. 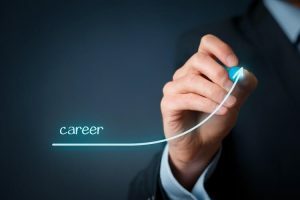 Since this blog’s beginning I have written about the value of growing your career. Whatever you call it, I’ve covered the topic from several angles. I always wanted a way readers could see their own personal results based on their unique circumstances. Now that finally can happen. Today I am launching my “Impact of Career Growth Calculator”. The calculator below allows anyone to input their current earnings information and potential changes to see what the difference is over time. In this post I will explain how the calculator works and provide some extra commentary for those wanting to make the most of their careers — whether they have 50 years to go or only five. Before we get into the details of how it works, let’s discuss what the calculator is trying to accomplish. Base Case — This is where you are now — what you earn, your expected annual increases, and how many more years you plan to work. This is your current scenario which, for most people, includes absolutely zero effort at growing their careers. Negotiated Higher Salary (listed as “Higher Start” in tables) — This is a higher starting salary that could be attained if someone (or you) negotiated it at the start of any given job. I have written about the difference a higher starting salary can make and how negotiating up front can have huge earning implications. This scenario puts numbers to those thoughts. Increased Annual Raise (listed as “Higher Raise” in tables) — This scenario shows the impact of higher annual raises every year. If your base expected annual increase is 3%, what happens if you apply the principles I suggest and get 4% instead? Or 5%? Or more? This is where you’ll see a huge financial impact. Both — This scenario assumes you negotiate a higher starting salary AND grow the annual increases you receive. There’s no law against doing both, right? Of course no matter what you do to earn extra money, you could simply blow it. Then all that work is for nothing. The calculator assumes you’ll save at least some of the extra earnings and you’ll invest it. But you decide how much. You’ll also select what you think you can earn on the money. I’m getting a bit ahead of myself. For now, let me introduce you to the calculator and below I’ll explain the inputs (just for those who need a bit of detail). With a starting salary of $40,000 and 3% annual raises, your lifetime earnings would be $4,511,875. Negotiating a starting salary of $45,000 would increase those earnings to $5,075,859. Investing the difference in earnings along the way would give you a nest egg of $4,251,771 at retirement. Working to get higher annual raises of 4% instead would increase your earnings to $6,106,683. Investing the difference in earnings along the way would give you a nest egg of $5,780,764 at retirement. Doing both would increase your earnings to $6,870,019. Investing the difference in earnings along the way would give you a nest egg of $10,755,130 at retirement. Starting Salary -- This is either the salary you'll earn one day (if your job is brand new or if you want to just run some "what if" scenarios) or is simply your current income. Whichever it is, enter in an annual amount. Annual Raise -- Move the blue dot on this slider scale to set your current (or expected) average increases expressed as a percentage of your annual income. We have started it at 3% since that seems to be the U.S. average, but you can move it anywhere from 1% to 20%. Note that this is meant to be an AVERAGE over the course of your career, but won't necessarily be the actual increase for any given year. My increases varied wildly from one year to the next -- sometimes I had almost nothing while other years I saw dramatic increases. In the end I averaged 8%, but probably never had 8% exactly in any given year. Years of Employment -- This is how many years of work you have left between today and when you retire. Those fresh out of college may have 50 years of work ahead while others may be closer to the end and only have 10 years left. These three settings create the baseline salary expectations to which all other scenarios will be compared. But before we begin looking at the other earning options, let's decide what we'll do with any extra money earned. As noted above, the calculator assumes that you will save and invest at least some of the extra career earnings you deliver, but how much and at what return rate is up to you. Annual Return on Investments -- This is the percentage return you think you can get on invested money. You can be ultra-conservative, put it into a savings account, and get 1% back. Or you can go all Warren Buffett on us and assume you'll earn 20% on your money. Again, this will be an annual average that you'll earn over time, not what you'd expect to earn in any given year. I personally use 8% as a long-term investment return rate, but you can set this sliding scale to whatever you feel comfortable with. Salary Difference Invested -- This slider lets you determine what percentage of your extra earnings you will invest. Will you spend almost all of it and invest 1% or do you have the iron will of Dave Ramsey to save 100%? It's up to you to decide. Once all the decisions above have been made, it's time to make some assumptions about the future. In these scenarios we'll work out what you could earn if you worked at growing your career. Negotiated Higher Salary -- This number is your higher, negotiated salary (higher in comparison to your current salary). Most people do not negotiate a starting salary and lose tens of thousands of dollars as a result. So set a number higher than what your base salary is. If you need some guidance in determining what might work, check out this article. By the way, this is a one-time number. The even bigger impact is negotiating higher and higher salaries throughout your career. But we decided on only including the one at the start because 1) it's a big impact if simply done once and 2) I didn't want to make a calculator so complex that it made the tax code appear simple. Increased Annual Raise -- This is the amount (as a percentage of your annual salary) that you would receive if you worked at it a bit. You can set it anywhere from 1% more than your base annual raise percentage all the way up to 20%. Once you see how the calculator works it's fun to play with this at various levels and review the impact. After all of the above have been selected you'll see the results. Error Message -- If you have entered something incorrectly, an error message will appear in red type below the Increased Annual Raise section. The message will tell you what you need to correct and you'll need to go back to the inputs and readjust one or more of them. You'll know you have it right when the error message disappears. Results -- If you have entered everything correctly, a results section will appear with two parts: a table that summarizes the results and a verbal explanation below that. The table will tell you the lifetime earnings (by lifetime we mean the time period you entered) of each scenario (base, negotiated salary, annual increases, and both a negotiated salary and higher increases). The explanation will give a brief summary of the table's results. Numbers by year for how each of the three enhanced scenarios differ from the base. These are actual numbers by year. Differences if the amounts were invested. Note that these are cumulative numbers that increase each year as the investments grow and additional funds are added. We included the details simply because some will want to see them, but the summary table really tells the whole story. Working to grow your income by getting higher annual increases is worth both your time and investment. This is because even a 1% increase in annual raises makes a HUGE difference. That's why you should spend time implementing the seven steps to growing your income as well as spend time and money developing skills that can help you earn more. The more you save and the better you invest, the more your net worth will grow. I know, this is not some new revelation, but it is worth noting since so many people spend any increases they receive through lifestyle creep. In addition it's worth noting that the numbers in this calculator only show the impact of the EXTRA dollars you earn, save, and invest. In addition to these, you should be saving and investing out of your base income. If you do, you will end up very well off indeed. As you play around with the calculator you should get a sense of where the biggest impacts are and what actions you may want to focus on in growing your career. Once you've had the chance to try it out, let me know what you think. Nice calculator. The only thing I wish was present in the calculator is the maximum final salary, since the increases tend to top out once you get to a high level. Because of this, most of the full value of the lifetime earnings come from the last few years. Actually, those numbers are included. Simply hit the “Click to show detailed results” box and it will give you all the results by year. Scroll to the bottom of the first chart and you can see salaries, by year, for the last few years. I was thinking about an input that would freeze the highest salary for the final years since you can tweak the growth rate to hit the final salary number but not to keep it flat a few years. Still, it is a very useful calculator to show the impact of a career in earnings. It really is the most powerful asset we have working for us. I’m sending this to my kids. Not sure if at 18 and 21 years old they will fully appreciate its simplicity and power. If they can even catch a small piece, however, it will make a huge difference as they close in on age 60 like me. Very helpful – thanks for sharing. Awesome! Let me know how it goes!!!!! Very nice! Makes me want to go get another job with a higher salary…. Oh wait, I just did that! This is a powerful visual of what a difference earnings and raises can make at the very end. Very thought-provoking…. Even though these thoughts are depressing 😉 Some of us have jobs where we can only negotiate so much, as salary is tied to other people’s, and get raises that are pre-determined for all employees. I guess the S and I are that much more important in our case! This is a GREAT tool, and thanks for sharing it! I will definitely be passing this tool to some of my colleagues who have become interested in their personal finances recently. I am sure they will be amazed at the projections given in this calculator. Sometimes it doesn’t “click” until someone sees real numbers on paper! Nice ESI – I like the perspective this can give people, and by people I mean me :). The little earnings add up once you start looking at the investment rates. Awesome tool ESI! I’ve increased my salary by 34% over the last two years by actively making that a major priority. Your podcast appearances on Choose FI, Do You Even Blog & Masters Of Money helped me with that during the most recent jump. I have another review coming in mid-June and have been working on a summary/pitch deck to propose another increase. This tool is very motivational and really highlights the power of investing in your career as an ultimate FI lever. I like the calculator and wished I had it when I was younger. Now, almost at retirement age, I don’t have much a career. Will pass this onto my daughter, so that she can plan and maybe motivate her to save more! This and the comments give me ideas for version 2.0 and later. Pretty cool tool. And the crucial think here is to treat many/most raises as if you didn’t get them. In other words, don’t spend them and inflate the lifestyle. My strategy was to only increase my spending every 2 or 3 raises – the ones in between I just simply socked away into savings. It’s psychologically hard for most to do, but it’s really important to get to FI. I assume taxes and aren’t taken into account anywhere. For every additional dollar I earn, 32% goes to federal income taxes currently, and that amount would increase if I made enough to bump into an even higher tax bracket. So really no one can save 100% of any raise unless you are on the low earning side with lots of deductions and don’t pay any taxes. This limitation can hugely impact the results of the calculator. But it’s a cool tool. Ironically though it highlights for me more of the opposite of your point. My husband and I work in an industry where (currently at least) you can easily switch employers and get a 10% raise or so. But doing so (again) just isn’t worth it, given our salary levels are high already and we don’t plan to work more than 15 more years. The difference is big in dollar terms but not big in impact on lifestyle (especially after you consider taxes and inflation). That’s a cool tool, I’m already slightly early retired and went back and looked at my thirty plus year career. I had an average annual compensation increase of 9% over my career and the calculator matched my social security total earnings record almost exactly. I did take my highest of eight offers out of college so I don’t think I could have negotiated it up but every year after that I made sure my company knew about the job offers I was getting from the competition and they tended to pretty much match the offers which is how I maintained such a high average annual raise percentage. I never side hustled until after I retired but enjoy doing it now for entertainment even though the money is pretty superfluous to me at this point having saved more than I needed while working. I agree that effort spent maxing out your career can represent the biggest return on invested effort with the least risk. I was in a high earning field and by rising through the ranks I made enough money that I could live what I’d call high end frugality and still generate wealth. Awesome work! It’s a great tool and one I’ll be sharing. I liked your mention of lifestyle creep. I see it all too often and, although I hope to guard myself from it, could see myself falling into that trap. Throughout the years, have you been tempted to allow your lifestyle to creep up with your salary? If so, how did you combat the creep? Not sure how the calculator would handle real life experience. 1. Many people peak in salary about the age of 55 and flat thereafter. 2. At higher responsibility levels, compensation is more and more based on bonus pay tied to performance of the individual and company. Bonuses can go up and down from year to year and are not guaranteed. Live on your salary and invest your bonuses. 3. Many company do not provide annual salary increases. Pay and pay increases are based on increased responsibility and performance. Salary increases are not entitlements but “earned” through demonstration of creating long term value. Given these limitations I was able to achieve an average annual 7.52% compensation increase over my 42 year career. I’ve been at my company for 4 years in April, every year so far I received roughly 3% pay rise. This year they increased my salary but took away all my expenses. When calculating this it leaves me with no pay rise, I break even. Would you go back and ask for more money or wait 6 months? I am considering moving on, they intend to increase my work load by taking on a third site and giving me more people to manage. No pay rise, is very demotivating. I also tried to get online training from them after my review, but this was ignored. What would you do ESI? There’s no right answer as everyone’s different, so what I would do might be different than what you would (or should) do. That said, I’d probably assess my role in the company, how the company was doing, my prospects for the future, etc. I’d also consider the non-monetary issues like whether or not I was willing to move, any impact on my family of a move, etc., and then decide whether staying was good or bad in the long-term. I’ve had situations where I did both. Sometimes I would move (as the writing was on the wall) and sometimes I would stay (because I saw light at the end of the tunnel or because family issues trumped more pay (this was really the case later in my career as I had already achieved a high salary)).